Inside: Is relaxed homeschooling your homeschool style? Read these signs to find out – you might be surprised! 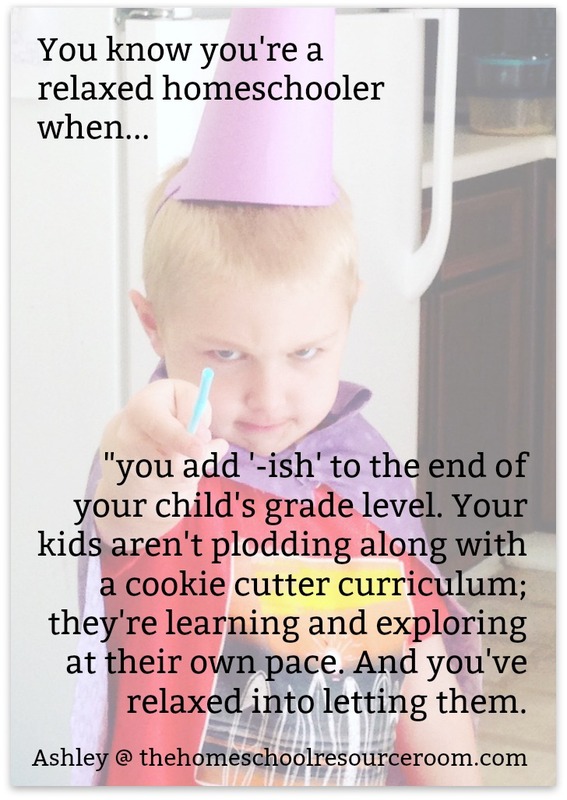 Relaxed homeschooling is a homeschool style that gets lost in the shuffle. 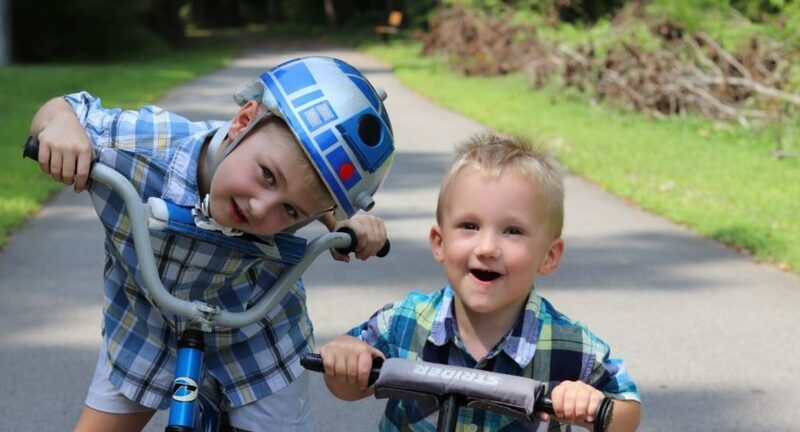 It’s often used interchangeably with unschooling and eclectic homeschooling and minimalist homeschooling, partly because everyone’s definition of relaxed homeschooling is a little bit different. While I am a minimalist, and minimalism does influence my homeschooling, I’ve never felt comfortable adopting the label “minimalist homeschooler”. I always identified much more strongly as a “relaxed homeschooler”. And all of these signs that you’re a relaxed homeschooler? I nod along in agreement with every.single.one. Relaxed homeschooling uses a variety of educational methods, from the traditional to the creative, to transfer essential knowledge and skills to children, without concern for arbitrary benchmarks, timetables, or definitions. Relaxed homeschooling uses anything and everything – yes, even doing ‘nothing’ at times – to preserve children’s natural desire to learn because being a life-long learner is a child’s greatest strength. Finally, relaxed homeschooling gives children the tools they need to succeed in life – not just the academic world, the self-awareness to know what they can and want to achieve, and the passion they need to accomplish it. Because relaxed homeschooling isn’t talked about as much in the homeschool community, you might have a difficult time identifying whether or not you are a relaxed homeschooler. Some homeschoolers argue that defining your homeschool style isn’t really important. When you can clearly identify your homeschool style (or styles), you know where to start looking for resources that will work for your family. You can put your finger on why a certain voice in the homeschool world just doesn’t jibe with you, even if everyone else loves that person to death. You can also save yourself a lot of trouble (and money) by skipping the local homeschool groups that probably won’t work for you. There’s nothing wrong with trying something that’s not your style: you might love it! After all, one homeschool mom I know blended two seeming opposites – unschooling and classical education – to arrive at her homeschool style, and it works for her. But knowing your homeschool style gives you a place to start, a foundation to build on. 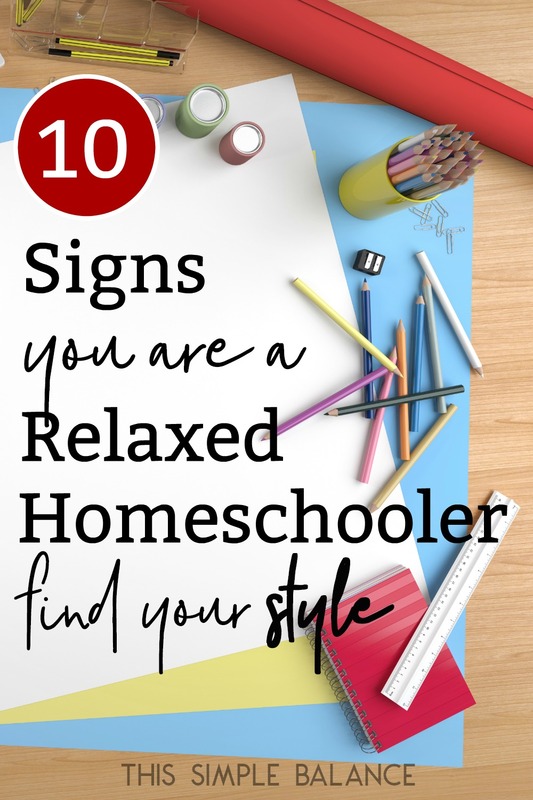 So in the spirit of helping you figure out whether or not relaxed homeschooling is your homeschool style, and to clarify what it means to be a relaxed homeschooler exactly, I asked several homeschool bloggers to share ten signs that relaxed homeschooling might be your style. I’m so thankful for other homeschool moms who can put into words all the nuances of relaxed homeschooling! If you identify with the majority of these, relaxed homeschooling is probably your style. We spend very little of our school day on traditional schoolwork, and my response sounds just like this one! I absolutely add -ish to all my kids grade levels. 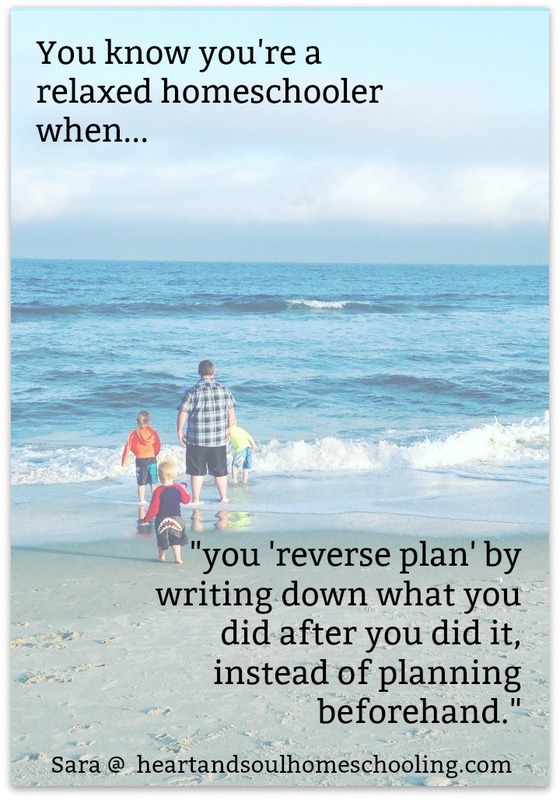 I always reverse plan! I have a general idea in my head of what I want to do each week, but sometimes life learning comes up and we don’t get to it. The beauty of reverse planning is that you can document ALL learning, not just the formal stuff. 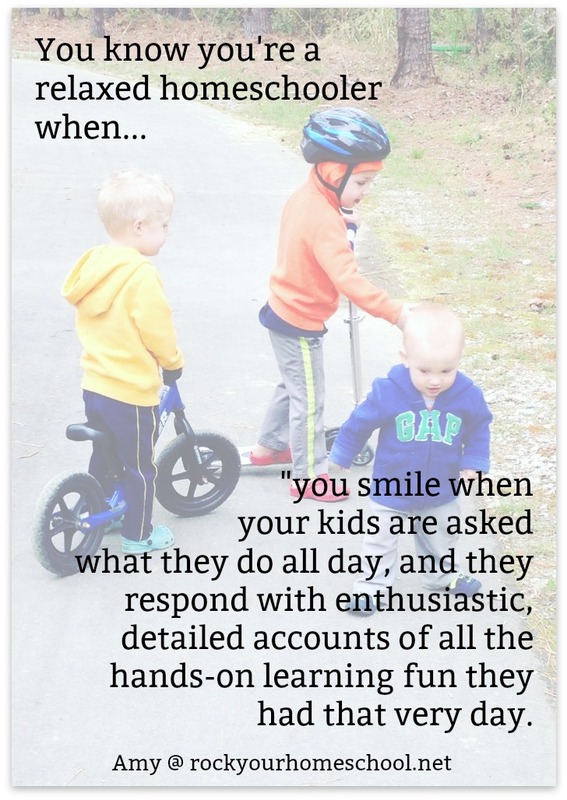 Anyone else get that question, “What do you do all day?” It’s definitely a win when the kids answer enthusiastically instead of just give blank stares, am I right? 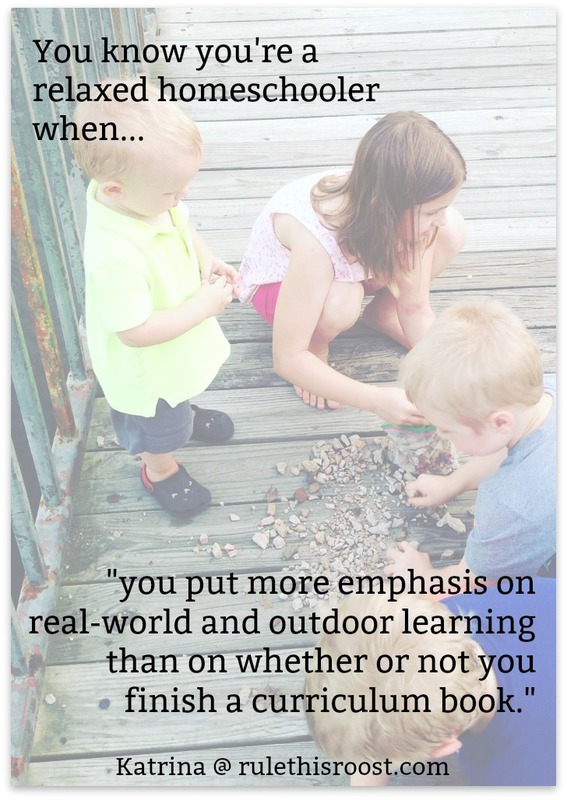 We absolutely put more emphasis on real-world and outdoor learning than finishing curriculum. 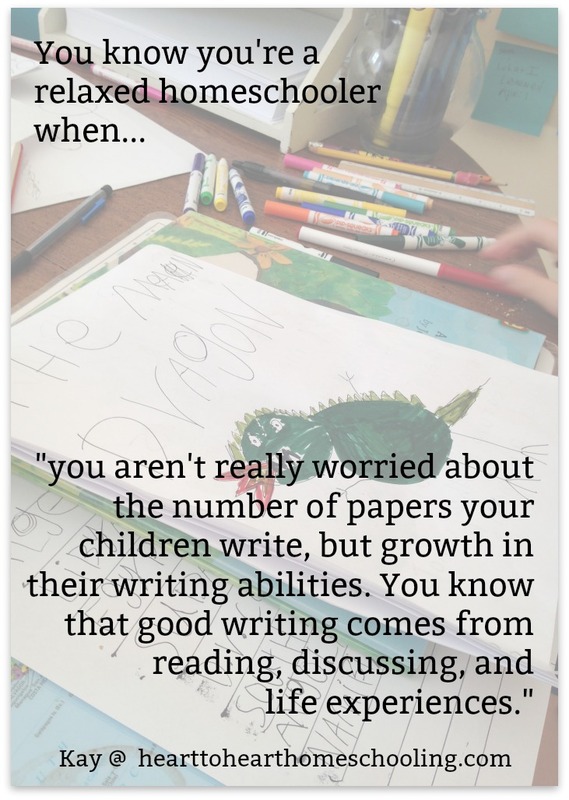 Writing isn’t about the number of pages or the number of papers, but about having something you are so excited to write about (one reason why we love Brave Writer for writing instruction). Yes! 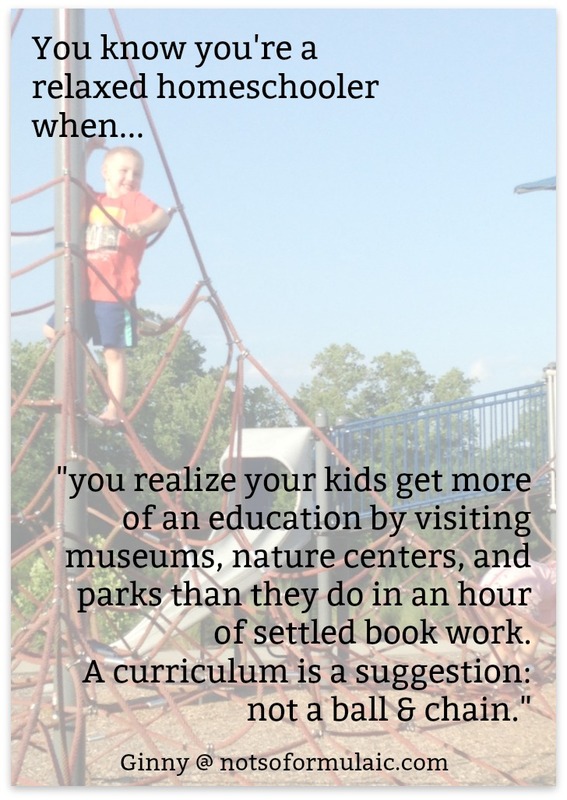 Give me museums, nature centers, and parks over workbooks any day. How much about life do kids learn in school? 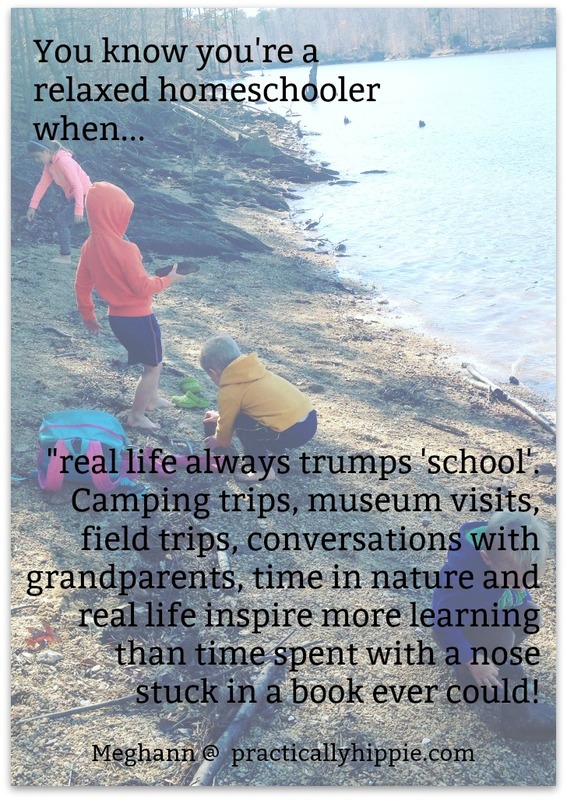 Well, they learn a lot about how to live life in a school (Clark Aldrich, Unschooling Rules). Why not actually live life instead? I so agree! 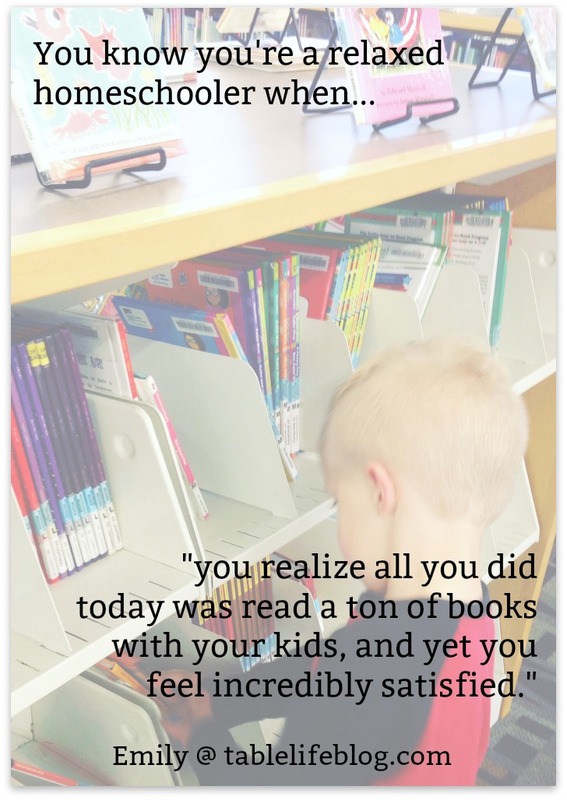 If you only had access to the library, you could still receive a fantastic education. There’s no teacher like a good book. 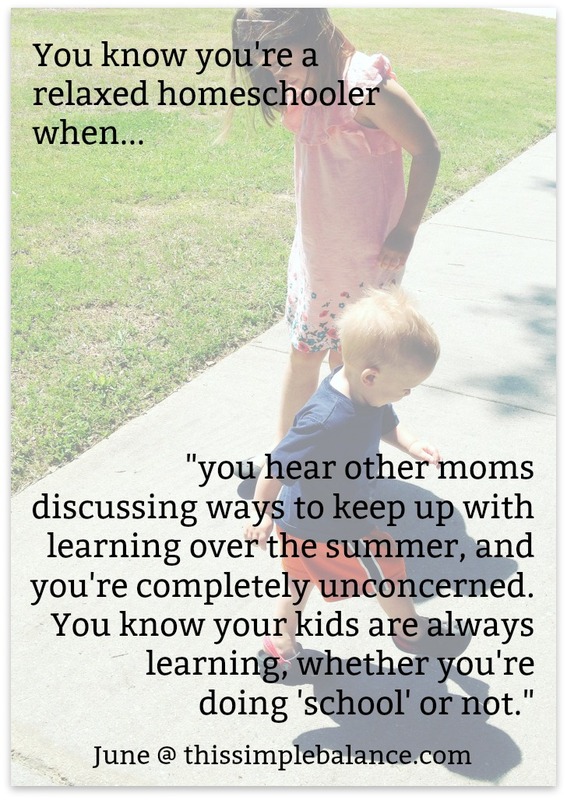 Perhaps it’s because we homeschool year-round (we really have no clear start and end date from school year to school year), but I never worry about gaps or forgetfulness. 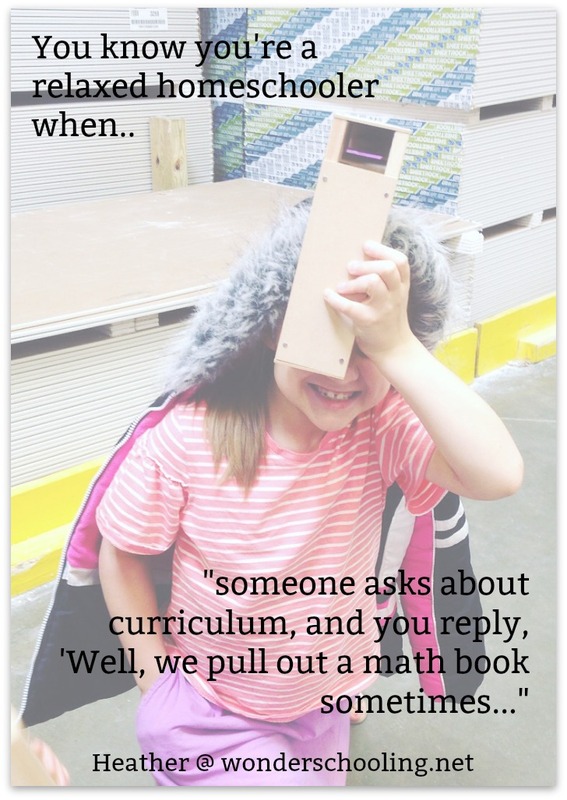 I know they will pick up right where they left off when a subject comes up again because the majority of our learning happens in the context of real life: reading, questions, and discussion.